BBC NEWS | UK | Magazine | Just what is a think tank? Just what is a think tank? With the Peter Hain funding row, think tanks are in the news. What are these bodies, how do you set one up, and what impact does their thinking really have on British political life? OK, so here's your plan. You have a dream; to foist your views upon the nation, in the form of your own, new political party. But there's a catch. Since the Political Parties, Elections and Referendums Act 2000 came into force, you must register your party name and description with the Electoral Commission. And that's not all. You must nominate two UK offices where the party must be registered. You must hand in a copy of the new party's constitution. You must offer up a plan showing how you will meet financial controls. And finally, you must pay £150. Anyone not meeting all of these requirements, the Electoral Commission says, cannot put their party name on a ballot and must stand as an independent. But if it all seems a bit onerous there is a plan B. Form a think tank. There is no regulation of think tanks as bodies per se. Anyone can set one up. The Oxford English Dictionary defines a think tank as "a research institute or other organisation providing advice and ideas on national or commercial problems", having made its debut in 1959. But the idea of independent bodies of thinkers able to contribute to public life goes back a long way. In Britain it goes back at least until the 1830s and the Duke of Wellington's part in the founding of the Royal United Services Institution. The Labour-affiliated Fabian Society was another early think tank, founded in 1884. 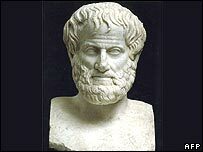 But one can choose to go all the way back to Plato's Academy for the root of the think tank, groups of thinkers not politicians, who wanted to alter the way states were run. In its British usage, the think tank refers primarily to organisations that conduct research with a view to causing political policies to change. And there are now many. Their names are very similar, a slew of barely differentiated acronyms and the use of either "centre", "institute", "society", "foundation" or "forum" accompanied by a "policy", "justice", "social", "studies" or "research". Don't confuse the New Economics Foundation (nef) - believes in efforts to "put people and the planet first" - with the Social Market Foundation (SMF) - favours a "pro-market rather than free-market approach". And you'd really be in trouble if you mixed up the Institute of Economic Affairs (IEA) which believes "government action, whether through taxes, regulation or laws, should be kept to a minimum" with the Institute for Fiscal Studies (IFS) which aims to "promote effective economic and social policies through rigorous analysis of their impact". Then there are the single-name classical sounding groups like Demos, centre-left, favours "everyday democracy"; Politeia, centre-right, "forum for social and economic thinking"; and Ekklesia, "promotes transformative theological ideas in public life". And despite their profusion, each think tank usually has a firm belief it has had an influence on public discourse. The left-leaning Institute for Public Policy Research has a staff of dozens and is a registered charity with a board of trustees. It receives a mix of funding from government, public agencies, private firms, voluntary sector bodies, some private individuals and even other think tanks. In January 2000 it published a piece of research called Ownership for All, which advocated that children be provided with assets that would act as a safety net after the age of 18. In 2004, Parliament passed the Child Trust Funds Act. The Centre for Policy Studies (CPS) is on the other side of the political and organisational divide, having been founded by Sir Keith Joseph and Margaret Thatcher in 1974, employing just five full-time staff and being a limited company with a board of directors. It receives much of its funding from private individuals. Another recent piece of work shows the rapidity with which research can have an effect. On 22 April last year the centre published Crossing the Threshold, written by barrister Harry Snook, which listed 266 ways the state could gain entry to your home. Unsurprisingly picked up by the newspapers, the report also appears to have caught the eye of Gordon Brown. On 25 October, in a speech announcing a review of laws and regulations affecting civil liberties, Mr Brown said: "There are a surprisingly high number - at least 250 - of provisions granting power to enter homes and premises without permission." The prime minister did not feel the need to mention the words "think" or "tank" in his speech, but the coincidence seems uncanny. And yet there are many moving in Westminster circles who feel that despite the noise that the numerous think tanks make, they have little effect. Prof Anthony Seldon, editor of Ideas and Think Tanks in Contemporary Britain but better known as biographer of Tony Blair, believes their effect is overstated. Of the three major prime ministerial periods of post-war Britain, the Attlee, Thatcher and Blair eras, Prof Seldon only believes one was significantly influenced by think tanks. "The Attlee government's work was painted by the experience of war and of the inter-war years. The vision of a welfare state and a nationalised economy," he says. 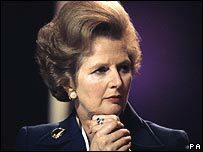 Having herself founded a think tank it would have been strange if Mrs Thatcher had not paid them some attention while in government. "Thatcherite ideas were forged out of the Institute of Economic Affairs and the Mont Pelerin Society, which had a huge influence in shaping and bringing to this country the ideas of [Friedrich] Hayek and [Milton] Friedman." But Blair's intellectual influences are harder to trace back to think tanks, Prof Seldon adds. "What is striking, as Blair's biographer, is how little impact they [think tanks] made. You see hardly any influence on policy at all. It is very hard to see how ideas get into the system. [In Blair's case] you see very significant influences like Andrew Adonis. He wasn't influenced by think tanks. "As the numbers of think tanks have accelerated their influence has declined. Influence comes from people who break off them and come into government." Political commentator Anthony Howard admits he can be sometimes confused by the plethora of similar titles and agrees that think tanks have "slightly devalued the currency" with their increasing numbers since their heyday in the 1970s. "It's rather like in medieval times when you would have set up a monastery. Now you set up a think tank. It brings you into the swim of things." But those who work in the think tanks, like Tim Knox, editor at the CPS, will stick up for their influence until the end. "We can be fluid and we can be naughty and we can be unpredictable and we can be original," he says. With Blair there was a lot less thinking than tanking, wasn't there? The so-called "think tanks" play an important role in formulating policy and influencing decision making at all levels. Unfortunately, however, the results of their often detailed and complicated work is distilled into sound-bites and headlines by the media. These sound-bites then provoke a more often than not ignorant response from the masses who are more often than not either not qualified or not intelligent enough to understand their full meaning. One of the most important and influential think tanks of the last twenty years though has to be the Adam Smith Institute. Set up in the traditions of small-government and a faith in the 'invisible hand' of the free market, they advocated (amongst other things) privatisation of state-run industries. Some successes of course but they even pushed for the privatisation and break-up of the railways - something Thatcher considered "a privatisation too far" but that Major followed with great gusto... with questionable success. An easy way to find out who they are and what they stand for is to consult NIRA's World Directory of Think Tanks. Surely, the main purpose of many think tanks is to float ideas in public without the politicians taking any responsibility for them (if the public doesn't like them) and also to put forward ideas that are so over the top, that the actual policy doesn't look so bad in comparison. "Think tank" = euphemism for "lobby group". If their influence is declining why do the media sensationalise think tank comments and reports? They can be more dangerous than you think. Tom Baker's debut as Doctor Who saw him battling an insane group of Scientists who wanted to take over the world with a robot and a disintegrator gun. The name of their organisation? "Think Tank".